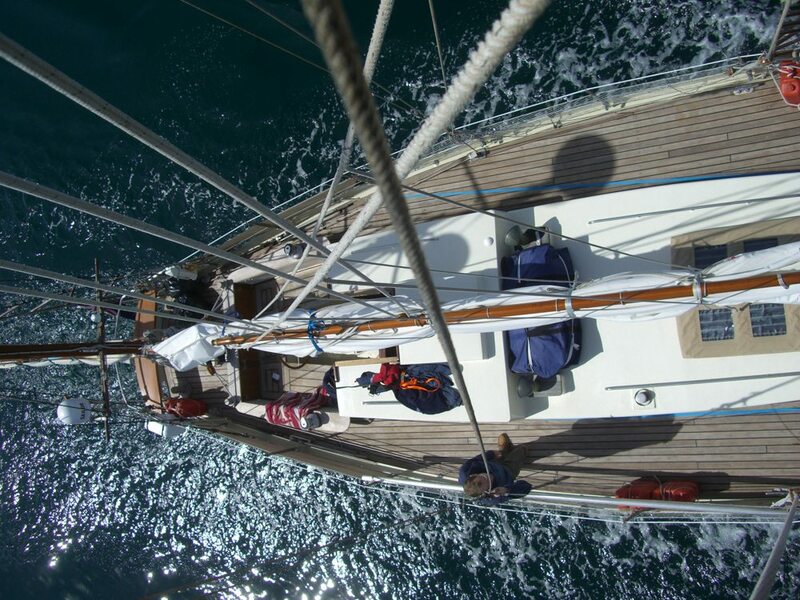 In the early summer of 2010 Young Larry, a 44ft steel gaff-rigged yawl left Lymington on the south coast of England bound for the Northwest Passage. Skippered by Andrew Wilkes and Máire Breathnach, she stopped at Dungarvan, Co Waterford to pick up her third crew-member, Sibéal Turraoin, a fourth would join them in Canada for six weeks. 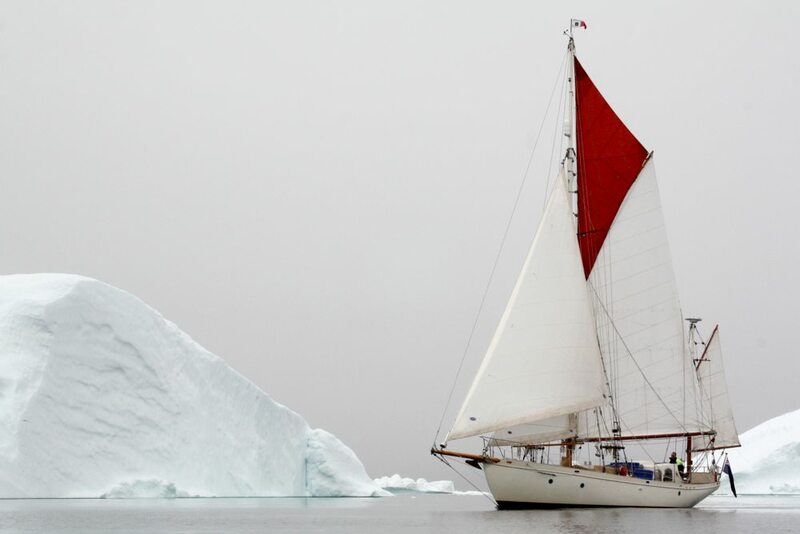 This was their second trip to the Arctic having sailed two years previously in Arctic Tern, a 68ft steel hulled gaff-rigged yacht. 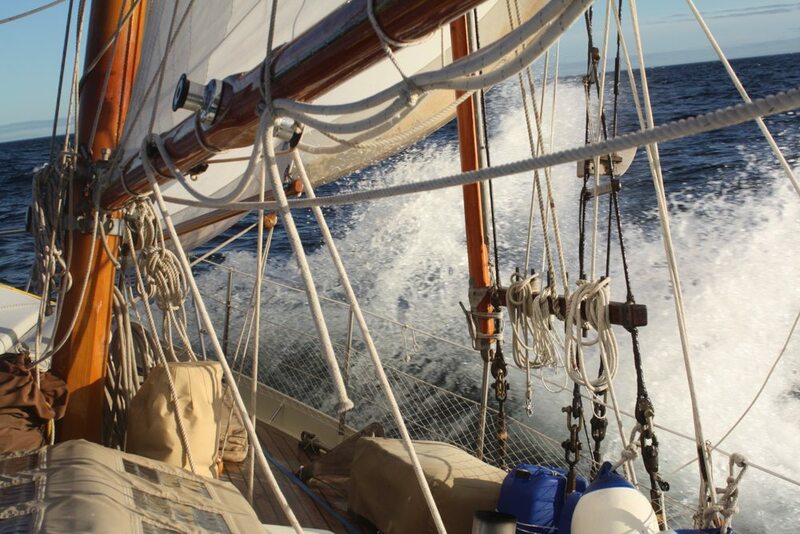 Leaving Dingle in mid-June, Young Larry sailed 1,700 miles through the North Atlantic to Nuuk, capital of Greenland. 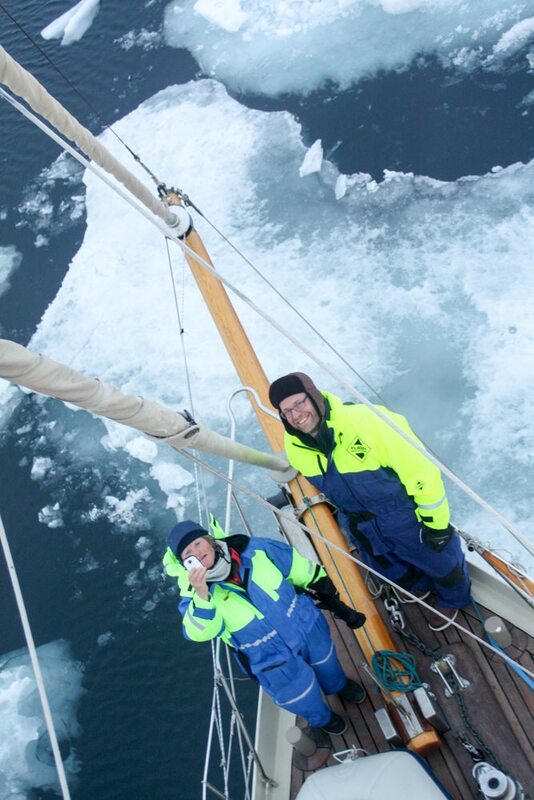 The next six weeks were spent cruising up the western coast to Upernavik, waiting for the ice in Baffin Bay to melt. Sights such as whale hunts, giant glaciers, icebergs, sledges and dogs all became common along the way. 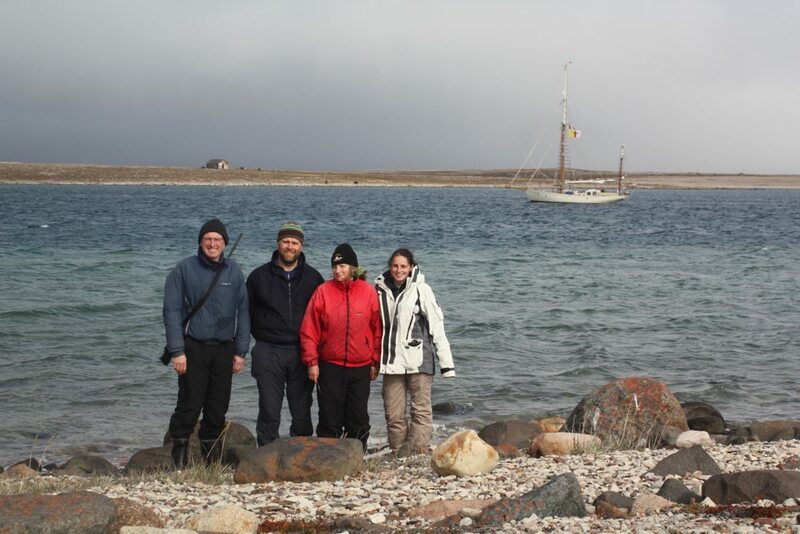 After a foggy and icy crossing the Davis Strait Young Larry landed in Pond Inlet and collected their final crew member Dermot O’Riordan for the six week leg through the North West Arctic Passage. Polar bears were spotted swimming around the boat in Beechey Island where Franklin spent a winter on his ill-fated exploration; a caribou and whale feast with drum dancing was had in Gjoa Haven, a settlement founded by Amundsen; Dew Line stations were explored; northern lights seen; ice floes navigated; and, after rounding through the stormy Bering Straits Young Larry arrived at the gold rush town of Nome, where Wyatt Earp ran a saloon. After continuing south to Dutch Harbour, Young Larry finally berthed in Kodiak for the winter, almost 8,000 miles travelled, the 145th boat to transit the NWP passage, and the first by Irish women. The voyage highlights were covered in The Irish Times and Afloat and I have given several talks on the voyage and you can find the podcast online at Women and the Sea: Irish Adventures in the North-West Passage. The skipper, Andrew Wilkes, has written a navigation guide to RCCPF Arctic and Northern Waters pilot guide in which you will find many of my photographs. To see the full gallery view my portfolio or you can purchare a book of images from the voyage or calendar through my print store.